Are you interested in purchasing an HD document camera and overhead projector replacement for under five bucks? Well if you head on over to the iTunes app store you can do exactly that when you download the app AirScanner ($4.99) for your apple device. 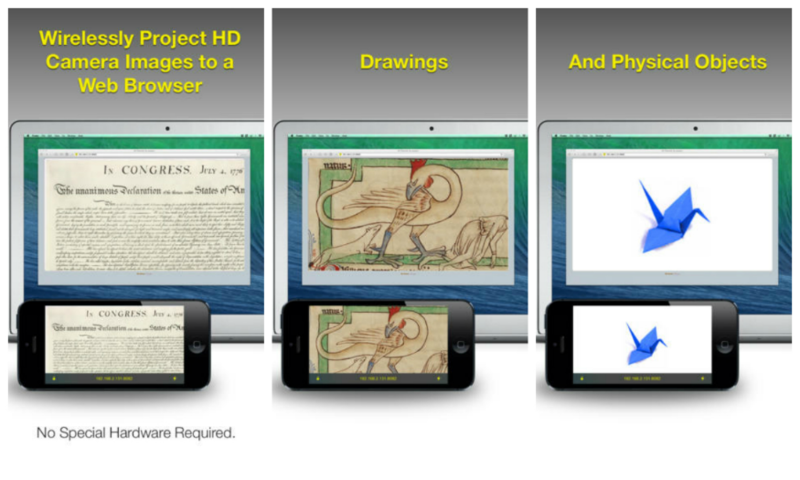 AirScanner makes it possible to display and project high definition images for your entire class to see. It is also a mobile camera so it can move with you as you circulate around the classroom which is a bonus if you want to display student work and have the class provide their peers with formative feedback. AirScanner is very user friendly and uses an existing Wifi connection to connect to your LCD projector or Promethean board. Just launch the app, type in the displayed URL, and wirelessly project the HD images to a web browser for the class to see. It is a simple as 1, 2, 3.